Not one, but two notable Japan only JRPGs from the SNES (Super Famicom) era received completed fan translation patches this weekend: Dark Half and Super Shell Monsters Story. Since you may be justified in having no idea what these games are, let us enlighten you. 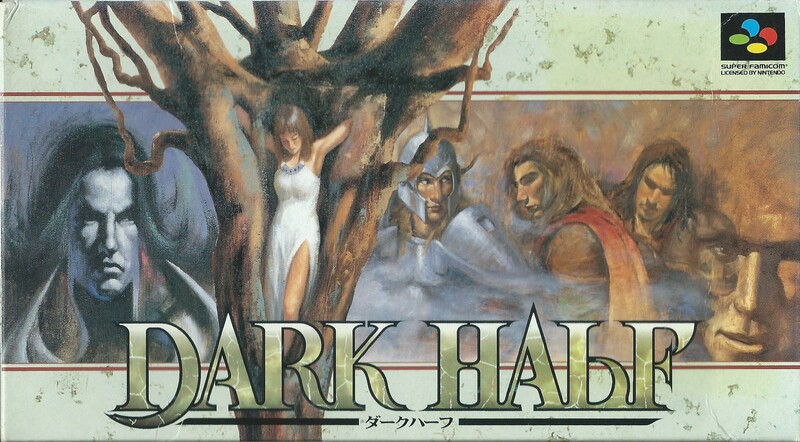 Dark Half is most notable because it was developed by Westone aka the Wonder Boy developer. In proving its unique pedigree, this 1996 Enix published JRPG has you playing the hero and the villain in a dark and mature story and related game mechanics. It’s definitely worth checking out if you love Wonder Boy and want to try something new while the rest of us were getting caught up with the PS1 re-releases in the West. Thank you Aeon Genesis (AGTP) for the hard work. 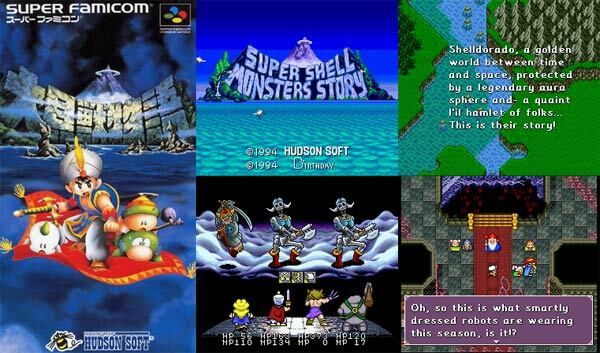 Super Shell Monsters Story is a much more typical JRPG released on the Super Famicom in 1994 by Hudson Soft, this is a traditional turn-based title that like many others steals the Dragon Quest (Warrior) formula and gives it that super cute and bright colored spin Hudson was known for. It’s somewhat obscure, even to the Japanese, so playing through this title may be more for earning your otaku cred than anything else, but the team at Dynamic Designs worked hard and clearly love this game. Thanks for the hard work and I hope to someday give this title the love it deserves. Clicking on the links in the opening line above will take you to the fan translation patch page.